The bicycle industy is full of fascinating people. Oftentimes, we find ourselves more interested in what our brethren and sistren in the industry do outside of their bike pursuits than what they're doing with bikes. Along with that, we have more than our share of duds too. Incessant talking about anything bike, like ShimanovsSRAMvsCampy and gear ratios and zerts and carbonyaddayaddaproprietarythisandthat and lately wheel size and can get very tiring. As roughly two people an hour point out to us (2 per hour averaged over 24/7/365), we do not yet offer a 29er. We're still not ready to open the curtain on the big wheel. Instead, we're going to talk about small wheels and why today's small-wheel protagonist/evangelsit is anything but boring. It's rare, but occasionally we get to meet someone whose every pursuit is fascinating. For a while Chuck/Scot got tired of footing the bill for journalists on press junkets, and decided to do some research on whether it is better to give or receive. So he started writing tech articles for VeloNews in the early 90's. First came a 7 part series on early mountain bike suspension that got translated into a few different languages (or so we heard). Aft that came the series on "metallurgy for cyclists" that you can still see on this very Ibis site right about here. Chuck's gamble paid off and he was asked by Dr. Alex Moulton CBE to come over for the launch of his APB, or All Purpose Bike. "Over" happened to be Bradford on Avon, which happens to be in the UK. Oh, and it happens that Chuck and Dr. Moulton both graduated from Cambridge! Chuck's Cambridge, however, was an elementary school in Concord California. Alex's Cambridge was different. 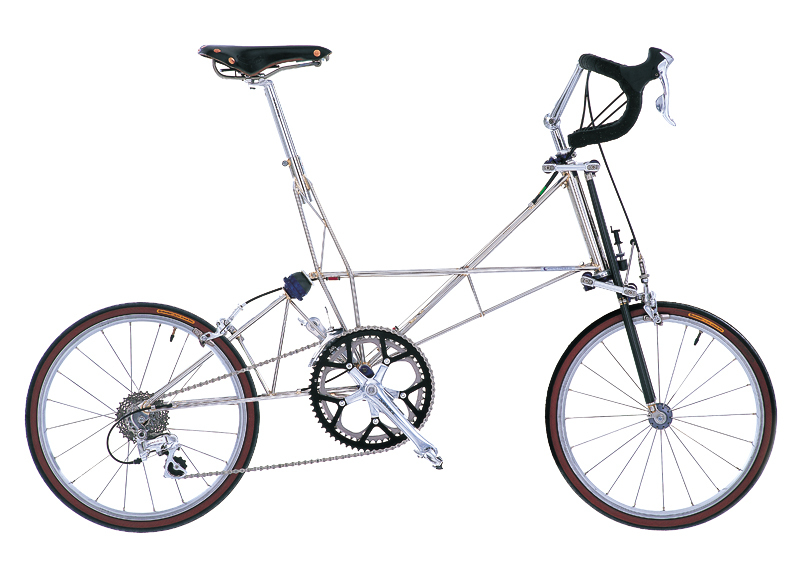 The APB was kind of a mountain bike, but it had 20" wheels and Moulton suspension and the iconic spaceframe construction. For those of you who don't know about Moulton, we'll start with a super brief lesson, and have more about his bikes at the end. First of all, in an effort to get your attention, here's where Dr. Moulton lives, we had the press launch here at his house. Moulton set the gold standard for how to run a press launch. That really is his house (he lives there alone). It's called The Hall. The family was in the rubber business, had some patent issues with Charles Goodyear way back in the day (1850's or so) which were eventually solved. Looks like they did OK. Chuck remembers Dr. Moulton saying something about supplying the British army with vulcanized raingear for the Crimean War (he had to look up what the hell the Crimean was was after the trip). The family ultimately ended up selling the business to Avon Rubber. We asked him what the seat arrangement was all about. Alex explained that during the gas crisis in 1973, he felt a bit ostentatious being driven around by his chauffer in his Rolls Royce, so has an austerity measure, he converted his Mini into a chauffer-driven mini Mini limo. I guess he liked it enough that he kept it that way. There were lots of other British motor cars around the compound, here's a Jag (V-12 of course!) with a Moulton APB in the back. Neary every Moulton can be taken apart and fit into a small suitcase, or 'boot' as they call the trunk over there in Bradford-on-Avon. Many journalists from all over the world attended. The grounds had plenty of paved roads, and Moulton even built in speed bumps and cobbles and purposeful road hazards so he could conduct tests on his various automobile and bicycle suspension systems. We got to meet the always entertaining John Stevenson on this trip. He's still a journalist, we're still in touch with him and he works very close to Dr. Moulton's casa in Bath, for the company that publishes Bike Radar, cyclingnews.com Pro Cycling, What Mountain Bike and MBUK among others. Here's John testing a trike, you can see some of the speed bumps behind him in the road. Dr. Moulton pointed out the huge carved marble fireplace to Scot and said, "They don't make them like this anymore". Here's John Stevenson in his long hair days in the foreground, eating. Note the grandeur of the room. John, are you paying attention? Here's John again, eating again. Chuck and John were the only males in the room without collars and ties. After all that eating, we got to go on a ride in the English countryside. On Moultons. Which is a great honor (honour) that puts you one teeny tiny step below a knight. Damn! So close, yet so far. He could have been Sir Alex Moulton, or would it be Sir Dr. Alex Moulton? Scholars of the Crown, what say you? Dr. Sir Alex Moulton? Or maybe just "Al"? Another thing you're probably not curious about is the 'on Avon' moniker bestowed upon the town where Alex lives. That simply means that that they town is located on the Avon river. So is his home, The Hall, so you had to have a place to relax down by the river, correct? A few years later, Alex came to visit us at Ibis. We made him a nice dinner and put him up at Scot's house. We had our favorite local smart engineer over, John Castellano, so Alex could have an intelligent conversation with at least one person. As with most of our favorite people in the bike industry, the bike talk doesn't last very long and soon they were on to other subjects. Eventually they got to talking about cars. You may have seen that we mentioned John's bug earlier. There was some major head butting between the two, with Alex passionately trying to convince John that the motor in his bug is at the wrong end of the car. John wouldn't hear it and eventually they agreed to disagree. Here Alex is contemplating the proper end of the car in which to mount a motor. 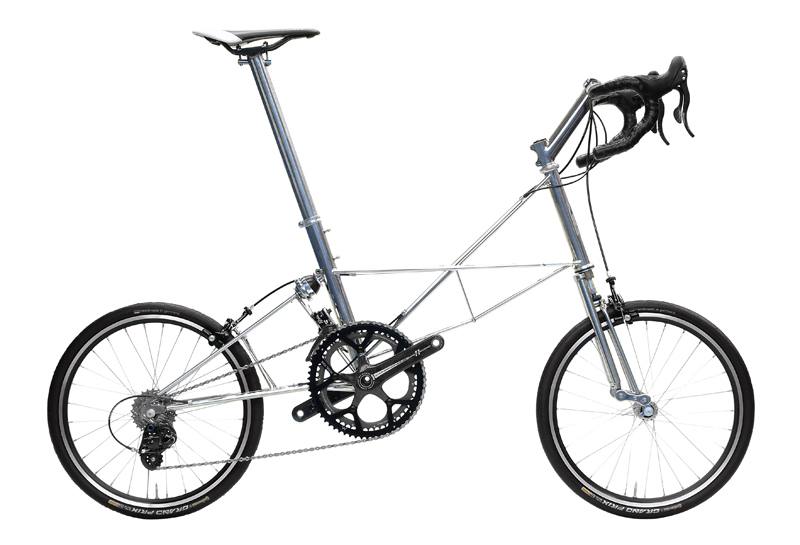 Moulton's are still being produced, and have a big, dare we say, "cult" following. Alex still likes his small wheels and front engine cars. John Castellano likes bigger wheels, having heartily embraced 29ers and more importantly still likes where the motor is in his 50 year old Volkswagen. In fact, he told us that in his most recent autocross race in his clapped out old bug, he got first in his class, beating out a Z06 Corvette (resulting in some shrinkage we presume). He also managed to finish 20th out of 70 cars over all. Something tells us Johnny might be a pretty good driver. A look at the Moulton website and you will notice that they don't have an "About" tab, they call it "Heritage". They've been made since the 50's so we'll give them heritage. In fact, we highly recommend going to the site and looking around, especially the heritage page. There is a lot of great and fascinating history there. There are waiting lists for some of the fancier models. The website says prices can vary from £900 to over £15,000 (~$24,500). So a hearty thank you, Dr. Moulton for being a true original thinker, and one of the most fascinating people in the bike industry.